One of the Accelerated Bridge Construction techniques used to expedite the construction timeline for the replacement of the Metro-North/Atlantic Street Bridge involves building the new bridge superstructure at the same time as the bridge’s foundation and substructure. The new bridge will have six individual deck spans. It will take a set of two spans to carry two railroad tracks over Atlantic Street. 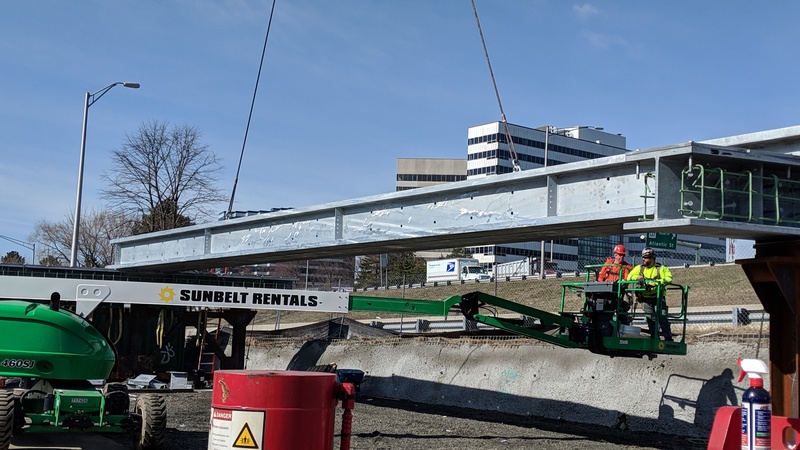 The bridge deck superstructures are being constructed at two separate locations and once assembled, they will be rolled into place via a specialized vehicle known as a Self-Propelled Modular Transporter. 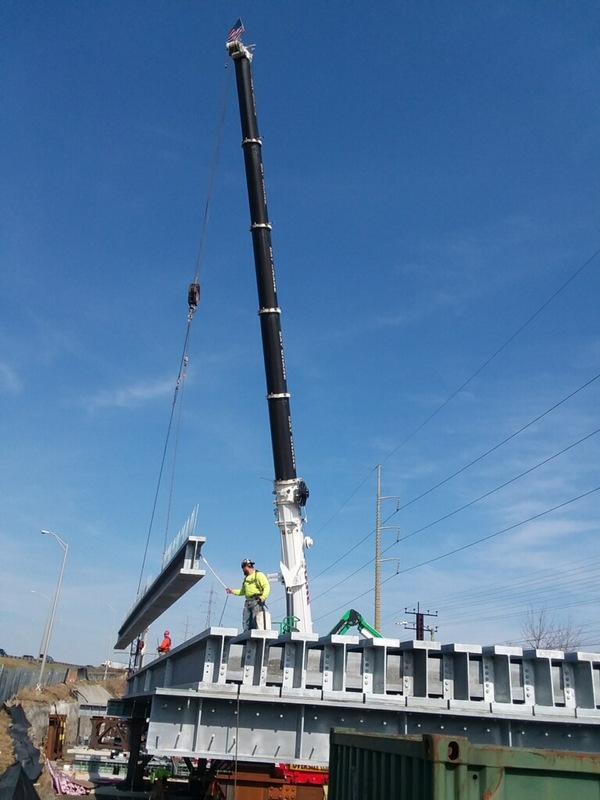 The SPMT is used to transport massive objects that are too big or heavy for trucks and is the preferred transportation method for this type of bridge construction. Due to the logistics of maintaining rail service, 4 bridge decks are currently under construction at the North Assembly Area with the other 2 bridge decks to be assembled adjacent to the existing bridge on the south side. A total of 56 girders will be fabricated, delivered and assembled at the North Assembly Area. The 72’ long girders rest on top of the temporary foundations and steel abutments. This ‘falsework’ allows for construction to progress prior to transport. Each span will be loaded onto the SPMT for travel from the North Assembly Area to the north side of the bridge about a half mile away and set in place. The two spans on the south side of the bridge will be transported in a similar manner, but will travel a much shorter distance. The entire bridge will be replaced over a 9 day period commencing in late June 2019 to early July 2019. The old bridge will be demolished in stages to allow for the new bridge decks to be installed and train service fully restored. During this period, a modified train schedule will be in effect. Information on train schedules will be provided by Amtrak and Metro North.